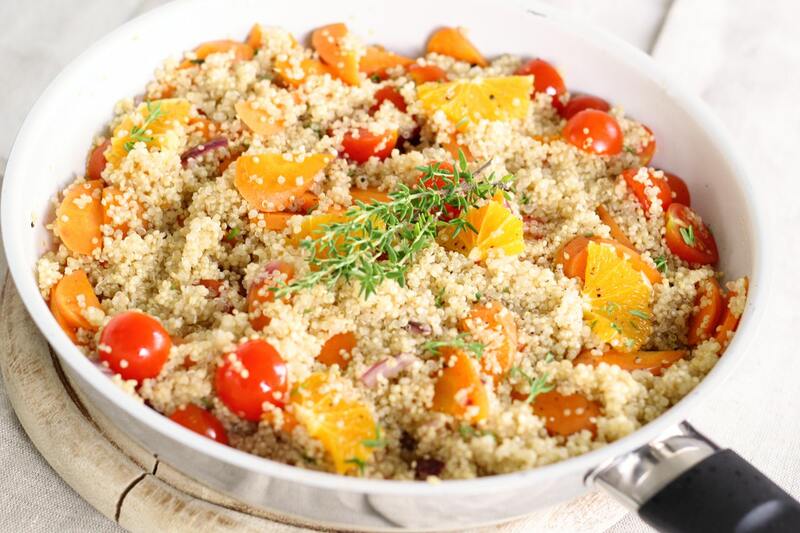 A chef from Shropshire has caused controversy after she openly admitted to spiking a vegan customer’s meal with meat after she claimed they annoyed her. 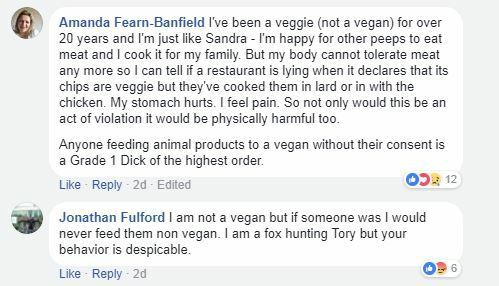 Laura Goodman may have committed a career-defining seppuku (Japanese ritual suicide) after she posted in a Facebook group how she purposely put traces of meat in customer’s food after they irritated her with questions about the menu due to their vegan dietary needs. Why Goodman decided to post what she did on Facebook is anyone’s guess, maybe she thought it would be good for the bants, either way, it has backfired as she came under a flurry of criticism for her dastardly deeds. Goodman took to Facebook to tell her followers how she ‘dealt’ with a ‘pious, judgemental vegan’ who had gone to bed after eating her meal ‘still believing she’s a vegan’. 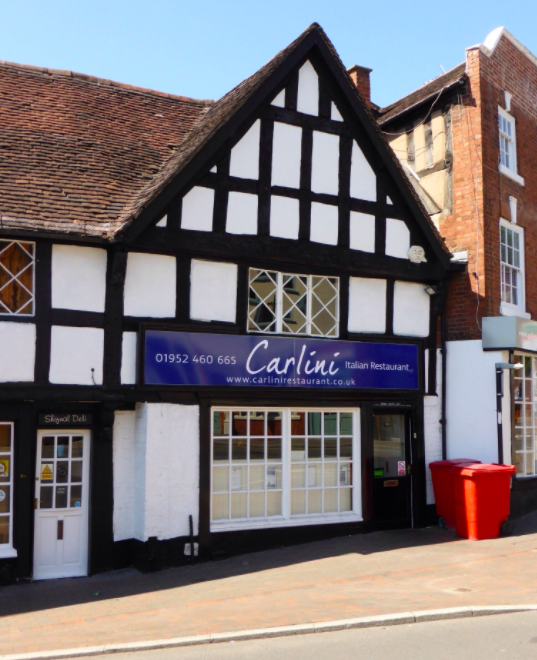 Co-owner of a poorly reviewed restaurant in Shifnal, Shropshire, called Carlini, the chef boasted in a Facebook group, known as The Boring Group,’ about what she did. Actually I should have said ‘they’re’ not a vegan…not ‘she’s’. 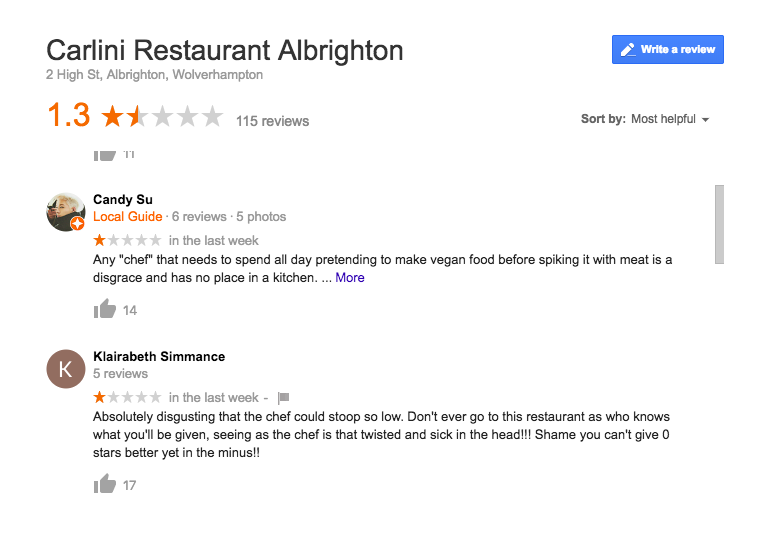 Started with asking me to telephone them, over Christmas, to discuss the dietary requirements of their guests within a set time frame, and ended with me wondering why I’m explaining this simplistic post to a pious c**t.
People in the group; meat eaters, vegetarians, vegans and pescatarians alike were all quick to condemn Goodman, they suggested she should be charged with assault as well as having Carlini’s close down. Don’t risk eating here. The chef boasts about giving unsuitable food to diners. If you have any allergies, or just want to know the chef is honest and cares about their dishes, steer well clear. While an assault charge might be pushing it (and it is highly unlikely) lawyer Emilia Leese, who also happens to be vegan, says Goodman could be facing some serious consequences. I think the most she could really be on the hook for is fraud and maybe some consumer protection laws – selling something under false pretences [fraud] and selling goods unsuitable for purpose [consumer protection]. And maybe some food safety rules violations too. But all the people would get is [a] refund of their meal. No punitive damages. The chef should, however, get sacked – that’s a breach of trust. If she’s a co-owner, that’s even worse. It’s completely appalling. Goodman’s reputation and that of her restaurant now face considerable scrutiny. Recent Google reviews have exposed her as ‘a person who owns a restaurant… boasting about spiking peoples foods’. Her actions have also led to a local vegan group, Telford Vegan Action, planning a demonstration outside the restaurant and calling for it to be shut down. Telford Vegan Action are organising a demonstration against Carlini/ Laura Goodman as the actions of spiking a vegan is so very wrong. What right did Laura Goodman feel she have the right to place animal products in a vegan dish then go on social media and boast about it? More people are going vegan and many more are participating in the Veganuary campaign and we will be highlighting this outside Carlini in the hope more people go vegan. Meeting the dietary needs of someone who only eats certain foods is part and parcel of being a restaurateur. It’s the customer’s prerogative and they are well within their rights to enquire about the quality of their meal and the ingredients which go into it. They may come off as ‘pretentious’, ‘snobbish’ and ‘difficult’ but we all have the right to care about the things we eat and not be mislead in that endeavour.